The power flowing through an alternating current (AC) load isn’t always pulling its full weight. Every AC circuit has some degree of non-working power as part of its total power reading and this can affect the amount of power a system is truly drawing. Active power (measured in kW), also known as real power or true power, is the working power in a circuit and reactive power (measured in kVAR) is the non-working power. Active power and reactive power together make up apparent power (measured in kVA). A great analogy would be the foam in a pint of beer. Most beers have some foam at the top but too much foam is generally a bad thing. Sure, the glass may be full, but if it’s mostly full of foam it won’t be very enjoyable. 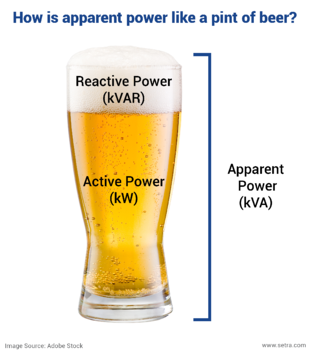 In this example, active power is represented by the liquid beer and reactive power is represented by the beer foam. The whole glass is our total apparent power. 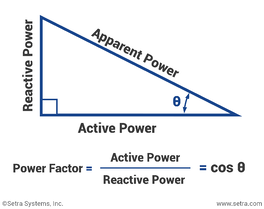 The relation between active and reactive power is represented by a ratio, a number between -1 and 1. This number is our power factor, which is quotient of active power divided by apparent power. Resistive loads, such as those in electric heaters and most lighting systems, are more efficient with the power they draw. Reactive power (kVAR) is smaller proportion of apparent power and the power factor is closer to 1. Electric motors, generators, and ballasts on the other hand use inductive loads and require more power in order to operate correctly. Reactive power is a larger proportion of total apparent power and has a power factor closer to 0. 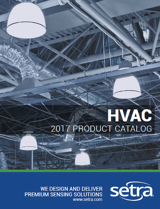 Knowing how much working and non-working power being used in a system can help you troubleshoot various efficiency problems you might be having in your building. When it comes to your monthly electricity bill, every kVAR counts. CLICK HERE for tips on reading your next electric bill.